Based in the UK, Fairmont & Main specialise in quality tableware ceramics at great value. 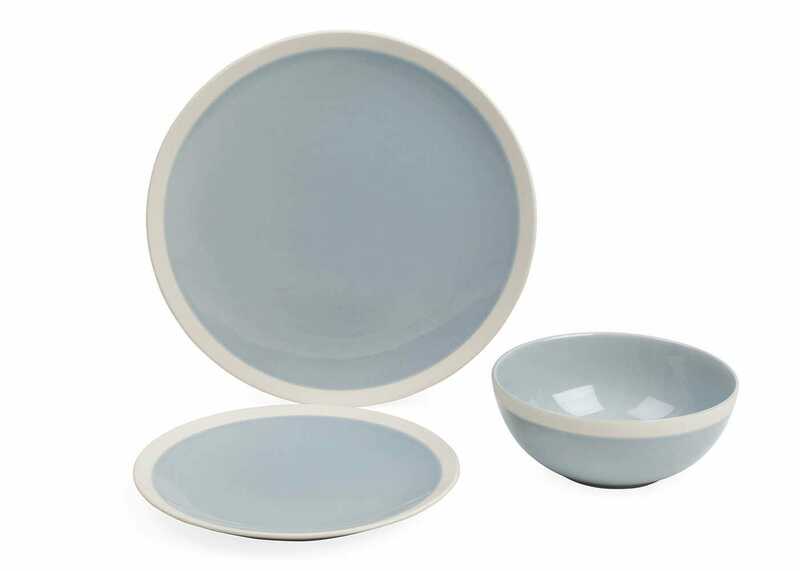 The Elements Sky Collection is made from stoneware, perfect for everyday use due to being fired at a very high temperature, making it tough and heat resistant. With a beautifully simple design, a combination of a block of solid glazed colour and matt un-glazed edge create an on trend piece, looking great alongside the Elements Bone collection and other muted tones or patterns. Box set only available online, contains 4 side plate, 4 dinner plates and 4 cereal bowls. Contains 4 x side plate / 4 x dinner plates / 4 x cereal bowls. Love this dinner service. It looks very stylish & is very durable.